Today, I've teamed up with some fabulous bloggers to bring you a $300 Nordstrom Gift card give away! Simply follow the instructions below (there are many ways to enter!). Good luck! Speaking of Nordstrom, I snagged this dress last month at their Anniversary sale (see my other anniversary sale picks here). For whatever reason, I always gravitate towards black, pink and leopard. Maybe its the edgy vibe of the leopard contrasted with the girly hints of pink, either way its one of my favorites: see casual and jumpsuit. Happy Monday! 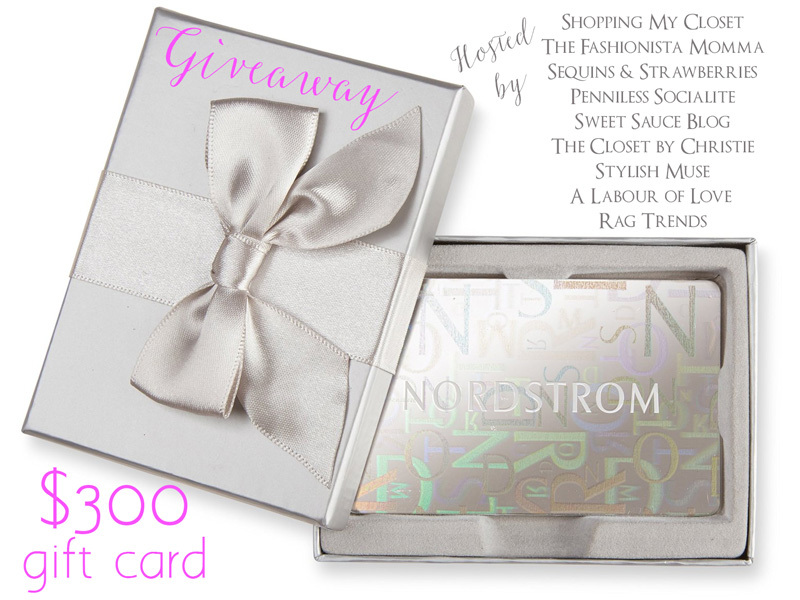 A few of my blogger friends and I wanted to kick start your week by joining together to bring you an amazing giveaway - a $300 Nordstrom giftcard! Are you the one lucky reader? Simply enter via the Rafflecopter widget below! 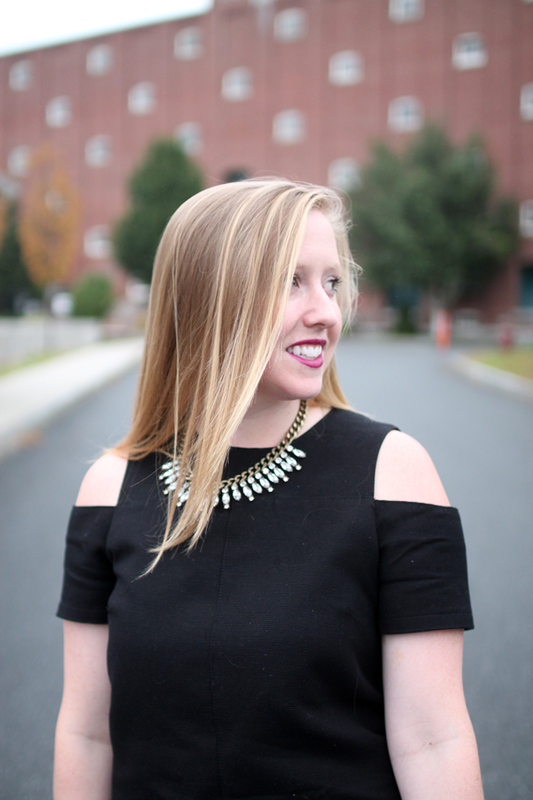 Co-hosts: High Latitude Style • Michelle's Paige • Style Blueprint • Mom with Style • The Daily Lace • A Lovely Little Wardrobe • Middle of Somewhere • The New Mrs. Winner announced: Thursday, September 24 Are you a fellow blogger who'd be interested in hosting similar giveaways to help grow your blog? Then, click here to find out how you can join! 4 comments on "Nordstrom Gift Card Giveaway"
Yay for great giveaways :) & great outfits - I am LOVING those shoes! You can't go wrong with a classic LBD and you've accessorized this one perfectly - I love the fun color and print. Such a lovely way to style this LBD, I did a similiar look a few weeks back and LOVED it. Love the clutch with your LBD and the cut with the shoulders, pretty! !